As you travel through the stunning Canadian Rockies, experience towering mountain peaks, hanging glaciers, and cascading waterfalls on the Columbia lcefields Parkway. 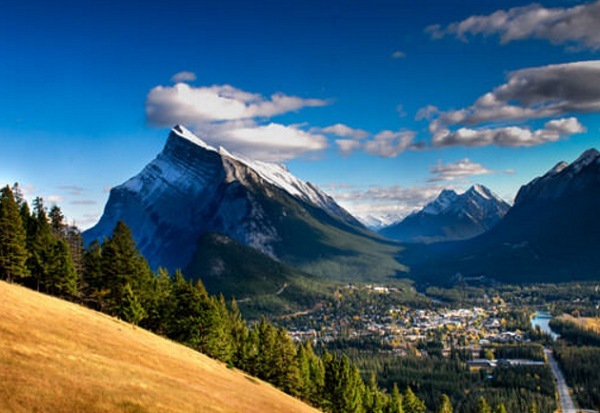 Explore the incredible scenery of Jasper with overnight stays in Lake Louise and Banff. Journey to the top of the Banff Gondola for the ultimate mountaintop experience, with an awe-inspiring ridgetop boardwalk 2900 ft. above Banff and a breathtaking 360-degree rooftop observation deck. 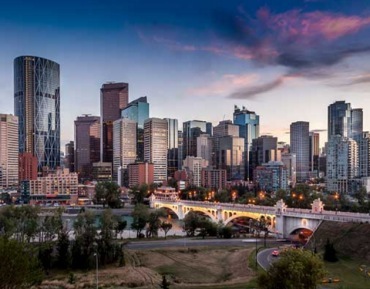 Wrap up your trip by enjoying the best of Calgary. This eight night excursion, which starts at $1,695 per person takes you to the top of the world and back again! Explore Banff today. 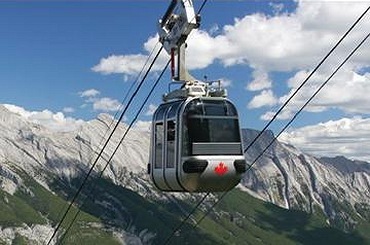 Take a ride on the Banff Gondola to the peak of Sulphur Mountain for a 360 degree view of the Banff and the Bow Valley. Continue to Lake Minnewanka and enjoy an hour-long cruise on Banff’s largest lake. Overnight in Banff. Journey northwards into Jasper National Park along the remarkable lceflelds Parkway. Enjoy a stop at the Columbia lcefield Glacier Discovery Centre for an interpretive Ice Explorer ride onto the Athabasca Glacier (lunch is also included). Then enjoy a trek on the Glacier Skywalk located on your way to Jasper. Your overnight this evening is in the charming town of Jasper. Overnight in Jasper. Jasper, fascinating in beauty and history, is set amid some of the most rugged peaks in the Rockies. 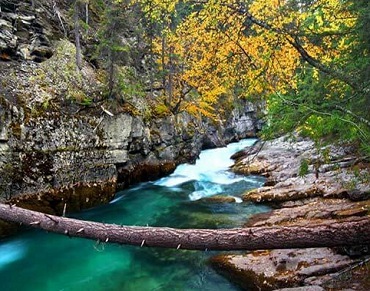 Today’s half-day excursion encompasses the area’s outstanding features including the mystical Medicine Lake, and Maligne Canyon, with its narrow gorge and limestone walls falling 50 metres to the floor below. Overnight in Jasper. Depart Lake Louise this afternoon and travel on a vibrant tour of mountains, lakes and waterfalls. Cross the Great Divide into Yoho National Park via the scenic Kicking Horse Pass and learn the history of the Spiral Tunnels. Overnight in Lake Louise. Depart Lake Louise today on a scheduled motorcoach service and travel to Calgary. You will be dropped off at your downtown hotel. Included today is admission to the Calgary Tower. Overnight night in Calgary. Two tours alternate based on the day of the week you schedule your excursion. Option A) A visit to the Dinosaur Capital of the World, the Royal Tyrrell Museum of Paleontology, home to the 130,000 fossils from 300 different species, followed by a stroll across the Suspension Bridge and a visit to the Hoodoos. Or B) Head south from Calgary through the rangelands of Cowboy Country, to the Bar U Ranch National Historic Site, which commemorates the evolution of the Canadian ranching industry, and a stop at Head-Smashed-In Buffalo Jump, a UNESCO World Heritage Site that tells the story of the hunting practice of the native people of the North American plains. Both trips return to Calgary late afternoon. Overnight Calgary. 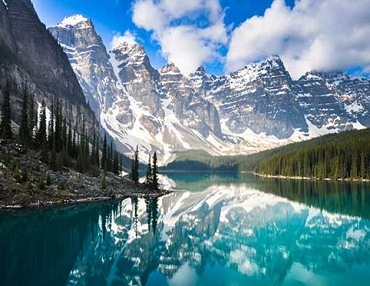 This land-only package includes 8 nights hotel accommodation; Explore Banff Excursion including Gondola Ride; Banff Lake Cruise; Icefields Parkway Discovery Tour; Explore Jasper Excursion; Mountain Lakes and Waterfalls Excursion through Yoho National Park; Calgary Tower Admission; Day trip from Calgary to Drumheller and the Badlands OR History & Heritage in Southern Alberta (depending on day of week) and all roundtrip airport transfers. Rates vary by date of departure and choice of accommodation class (Value, Superior or Deluxe).